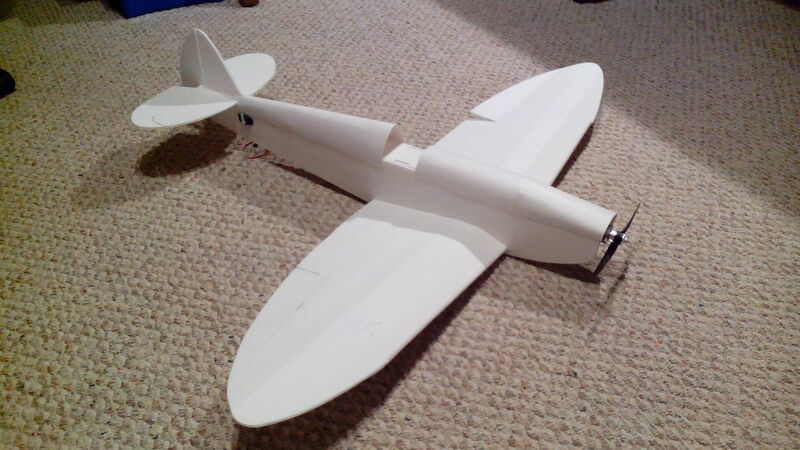 Spitfire build. Any paint design ideas? 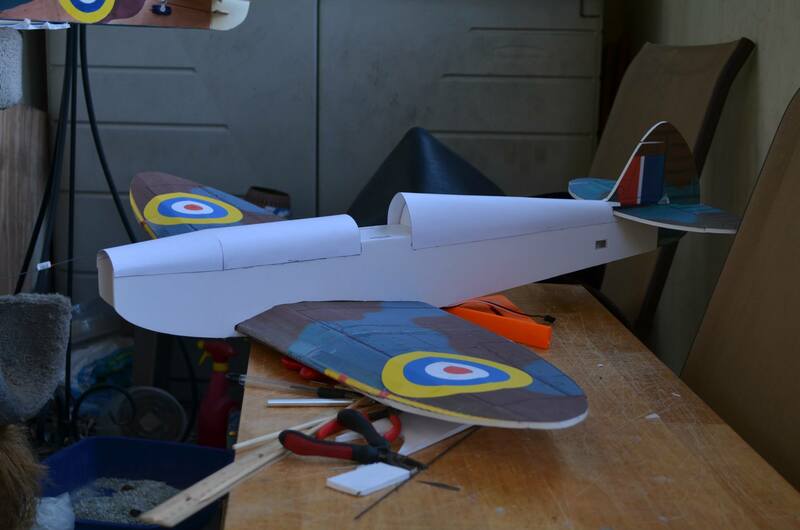 Here is my spitfire ready for the control horns,Linkages. Going to finish the electric installation then Minwax and paint. Looking for some paint design ideas. Thanks. That gives me tones of ideas. Also check out http://wp.scn.ru/en/ww2/f/52/9/0#31 . What an awesome link, mahalo brah! A nice reflective chrome or aluminum color always looks great in the air. Then add some tape/vinyl strips and/or decals. Here is what I have so far. Going to add decals and am waiting for the spinner and servo extensions to finish everything up. I know it is not completely authentic but I have some Canadian air force decals, I'm thinking about putting them on. A few Canadians flew Spitfires during the Battle of Britain. I'm not sure if they flew with their own markings or the Royal Air Forces. Probably the latter. ... But you can fudge history a bit. I know someone built an American warbird and painted it up as a German fighter and claimed it was "captured". lol. Here are a couple of pictures from the maiden flight. Video was not very good so just uploading the two pictures. I love the way it flys. It is very stable and does great at slow speeds. I could use a little bit more powerful motor to make it do vertical better. 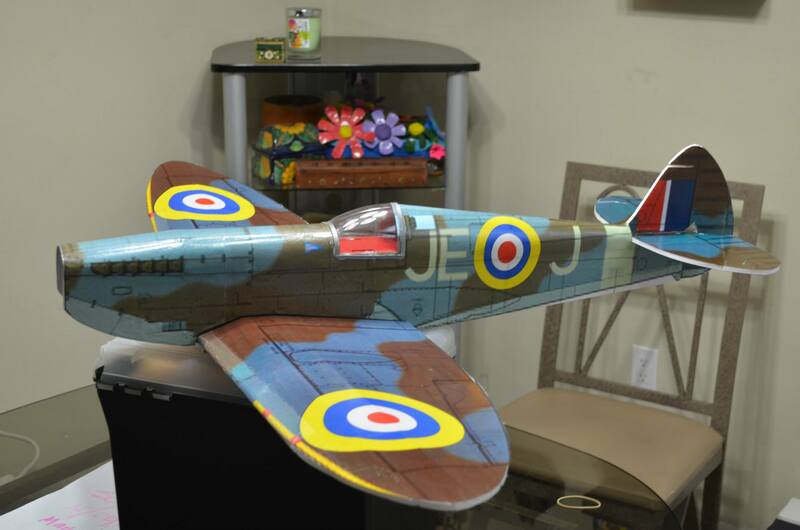 This is the finish job that i did to my Spitfire, the final touch: a layer of Minwax to make it shine. I like your paintwork, especially the detailed lines. Do you paint them with brush or draw them with pencil? Where did you get the pattern from? 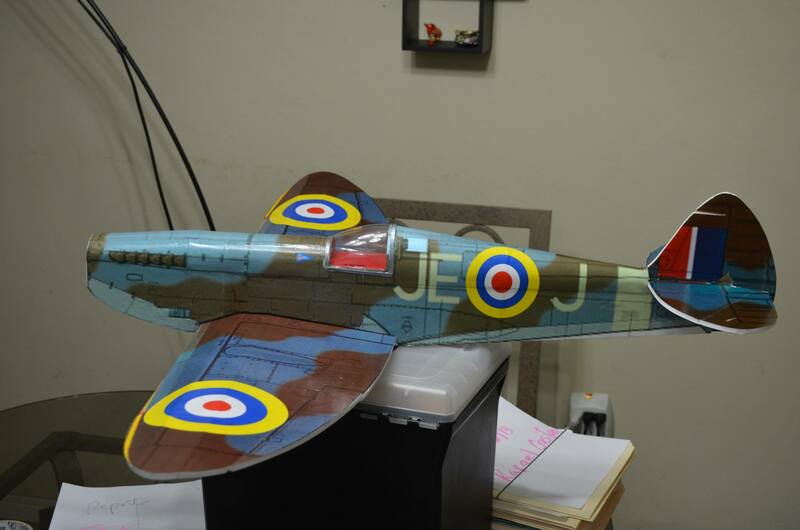 Here is my oxymoronic high visibility camo ... or the Andy Warhol Spitfire ... just waiting on some vinyl decals and the right water bottle/bit of trash for the canopy. That should be pretty easy to spot!! Good job! WOW that looks incredible!!!!!!! Great job!!!! As everyone else is asking, what was your panel line trick? Black magic marker? 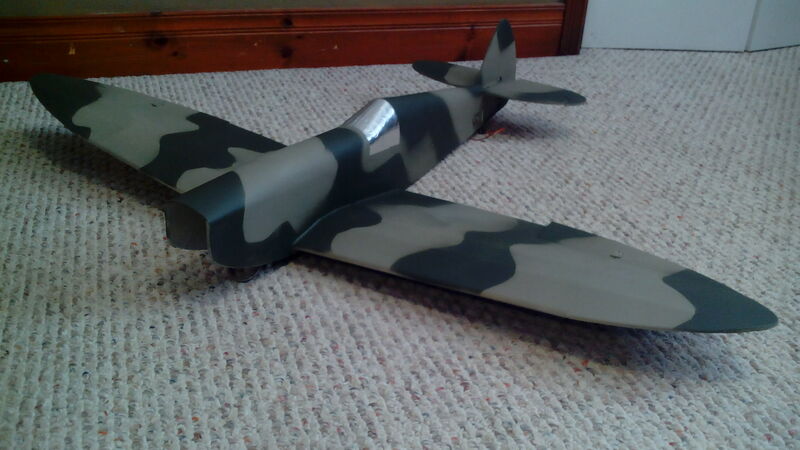 Love the header pipes on your Supermarine Spitfire - that is a terrific paintjob. I've been trying to figure out a way to fabricate some faux pipes out of tubing - but your painted on pipes look fantastic. What material did you use for the canopy and frame ? Nice work.